WARNING: THIS GAME IS NOT SUITABLE FOR CHILDREN OR THOSE WHO ARE EASILY DISTURBED. 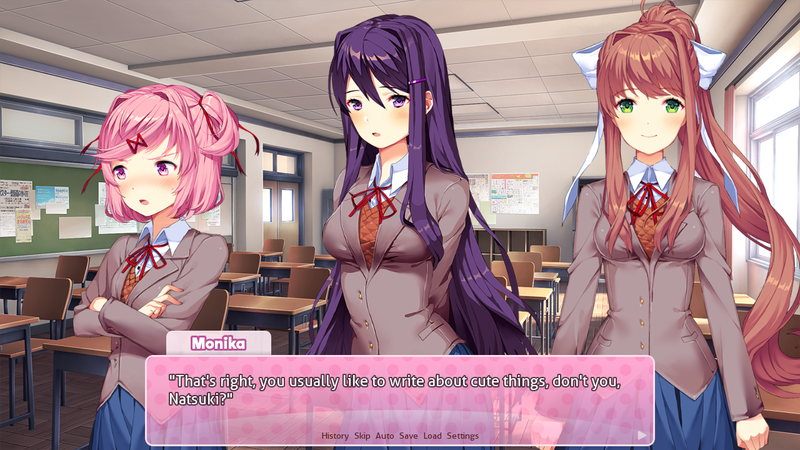 Tagline: Will you write your way into her heart? I’m not one for adorable high school romance games but there was something about Doki Doki Literature Club that tickled me just right. Probably the price; which is free! The real cost? 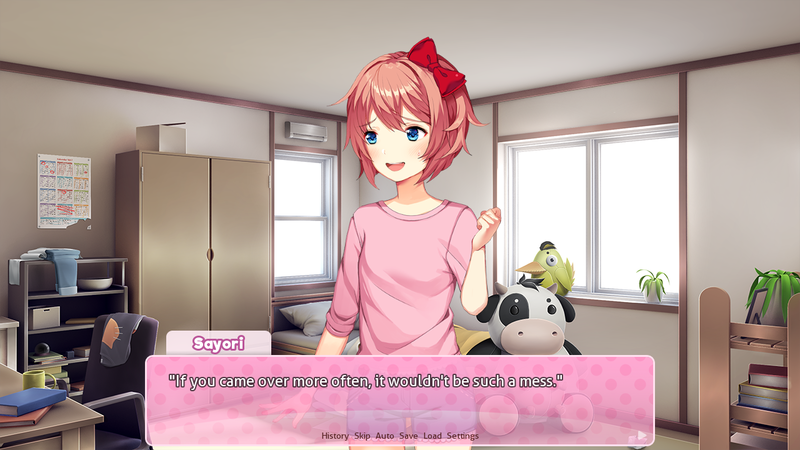 Possibly your sanity … or $10 USD for the DLC if you want to support the small indie game developer, Team Salvato. 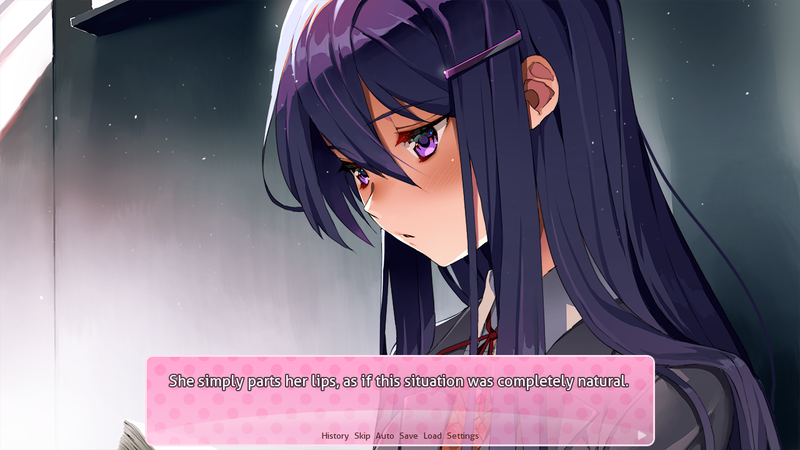 The Ren’Py studio is an excellent free to use engine for creating Interactive Visual Novels and this game is a grand example of what can be achieved. It’s text heavy so if you’re not big on reading perhaps watch the loveable animated series School Days instead. The writing is rather good although there are some archetypical characters and clichéd plot devices as seen in a lot of romance animes, although this is more than likely an intentional artistic direction considering what happens … well … I’ll explain later if you care for spoilers. The soundtrack is fluffy and fun. The anime style visuals are of high quality and several in game options are included for an easy to read experience such as an automatic text scroll option. If you enjoy a cute romantic high school adventure with a bit of drama, conflict and fųn then Th1s is the game game game game game game game game game for for for for for for you you you you you you you you you y – you – u! Wait … WAIT! I … I can reload my saved file! Yes! Reload! What? No? … I can’t reload where I last saved? The file is corrupted. I can only start a “new” game. I guess I have no choice. Even in the new game she’s gone. Where she should be is a glitched sprite. An interchangable mess of characters. Her name placard and dialogue text a jumble of symbols. The game progresses as if she were not supposed to be there although she is in some form or another. She still cries out my name … her ghost haunts me … I’m … I’m sorry. The first hour or so of this title proceeds how you’d imagine for an anime based visual game. Then the bombshell drops. A grisly scene is uncovered through mere progression, a scene which may shock some players. Your previous save file vanishes and your experience starts to become unnerving. This romance high school drama quickly unfolds into a psychological horror story where you are the subject of torture. Now, I enjoy horror-themed and unsettling glitch art (the means of creating electronic art by altering or corrupting audio, film or picture files). 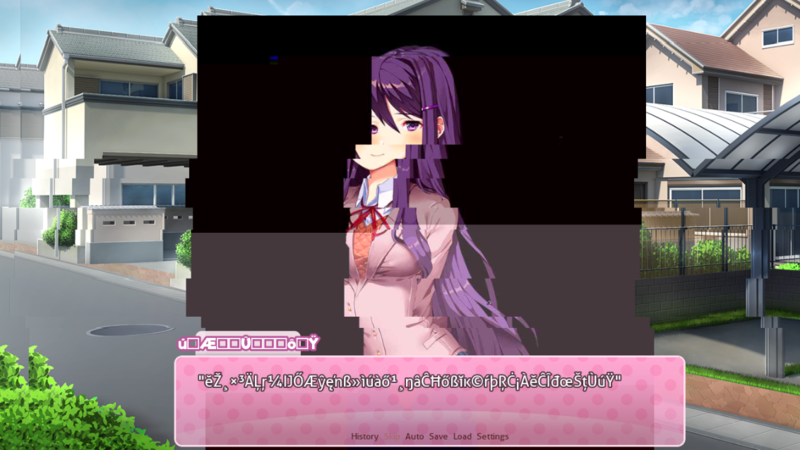 Doki Doki Literature Club does well simulating a horrifying game error experience. It doesn’t blur the lines too much to have duped me into thinking there was something actually wrong with the game or my computer for that matter, but for others who have not come across similar themes in the past it can be jarring, as more than likely intended by the artist. Bits and pieces in the dialogue rather cleverly and subtly refers to the game itself throughout play, successfully shattering the forth wall. With over two years in the making a lot of thought was put into this title, and it has paid off. Dan Salvato, the creator of Doki Doki Literature Club, has expressed his love-hate relationship with the anime genre through this game. 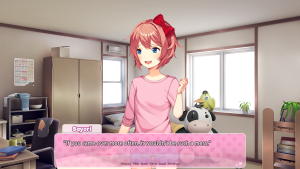 Thus the archetypical characters in DDLC. Salvato wished to create a deeply unsettling experience rather than a game filled to the brim with jump scares and gruesome or overtly horrifying visuals. The game falls a touch short of evoking an emotional response from myself personally. 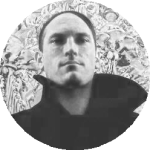 Perhaps a hardened horror veteran like myself may find the game slow and meandering. I was also somewhat prepared for what to expect. If I had gone in cold without a bit of research on the title my gaming experience would definitely have differed. That’s not to say I am not enjoying the experience, but hey! Don’t just listen to me. Also take the hundreds of positive reviews on Steam into account. It may not be everyone’s cup of tea. You might prefer coffee, or maybe a cup of blood with the small face of your loved one peering at you from the surface. This game is a disturbing experience, a slow decline into madness and horror. The game is available on Steam and the Team Salvato site. 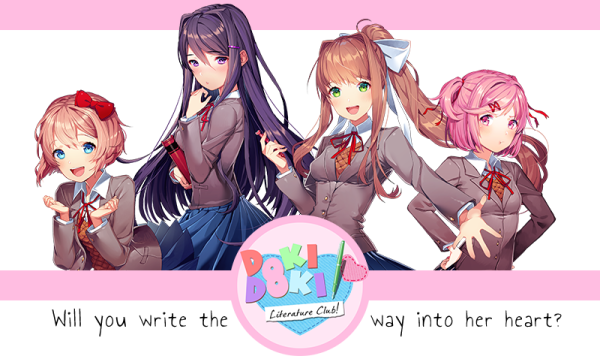 Image sources: Banner: Know Your Meme; first, second and fourth gameplay images: Doki Doki Literature Club website; third gameplay image: Kotaku.